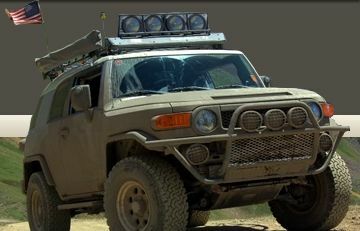 AZFJ › Forums › Reviews › Vendor/dealership Reviews › allegiance auto glass- Windshields for FJ's! Forums › Reviews › Vendor/dealership Reviews › allegiance auto glass- Windshields for FJ's! Posted: Mon Jan 18, 2010 2:58 pm Post subject: allegiance auto glass- Windshields for FJ's! They've been loose for about a year now....Do you guys run into this alot, and can you fix it if you were to replace an FJ windshield with this problem? Same thing here. The guy tried to say the sun had cause the clips to break. Hmmm.......not exposed to the sun and the truck was less then 6 months old. Fixed by him, his cost. Same here!!!!! The guy tried to deny that he caused it. He also scratched my paint on both sides of the pillars by the windshield! They said they'd fix it for me. But I just keep forgetting to go by the paint shop! My FJ is an 07. If I let you work on my car will you use the original or aftermarket windshield? My replacement is PPG and it seems to take on rocks alot better than the OEM windshield! I am knocking on wood as I type this, the PPG has made it 19000 miles with 1 small chip, which is not spreading! The OEM barely made it 10000 miles! Ha, Ha, Ha!!!! You will not keep those fingers crossed!!!! I just got a bad chip last week right in my line of sight....I'm hoping it spreads so I can get it replaced and my cowlings fixed. I'll give you a call when it spreads.....it's only a matter of time right. Besides typing in all caps Do you replace the fiberglass molding when you replace the windshield? I just got my 3rd or 4th windshield put in when my FJ was getting the new roof. I'm not sure what glass is in there but it seems tougher. I've had some hard hits and no cracks yet.